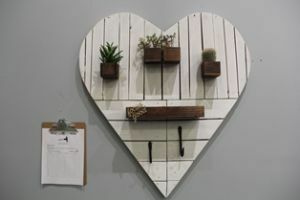 Pensacola State College and Pensacola Habitat for Humanity’s ReStore have partnered once again to present “Artistically Repurposed” art exhibition and auction. 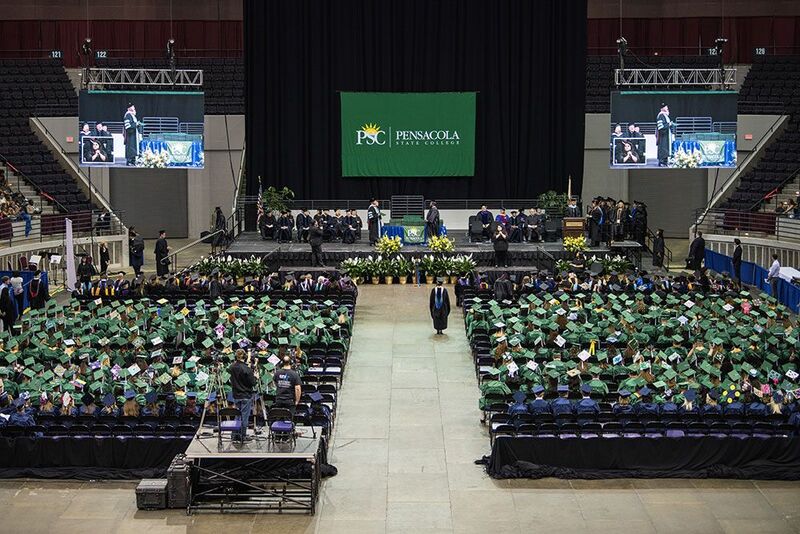 The art show and auction will feature the works of Pensacola State students and faculty using recycled products to create beautiful and practical two-dimensional and three-dimensional pieces. 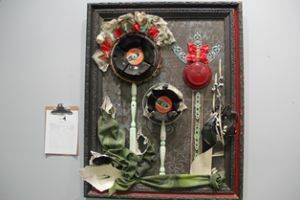 The “Artistically Repurposed” exhibition will be held May 7-11 in the Lamar Studio Lecture Hall, Room 1590, in the Anna Lamar Switzer Center on the Pensacola campus. The exhibit will be open 8 a.m.-5 p.m. daily and end with a reception and auction set for 5-8 p.m. Friday, March 11. Faculty jurors will select artwork for first- through third-place and Best of Show awards, and cash prizes. Faculty pieces will be included in the auction, but not the juried show. A $300 prize will be awarded to the first-place artwork, $200 for second, $100 for third and $400 for Best of Show. Proceeds from the auction will benefit the Pensacola Habitat for Humanity. Jimmy Rhea, Pensacola State visual arts instructor, said the college family was very excited to help Habitat for Humanity for a second year. 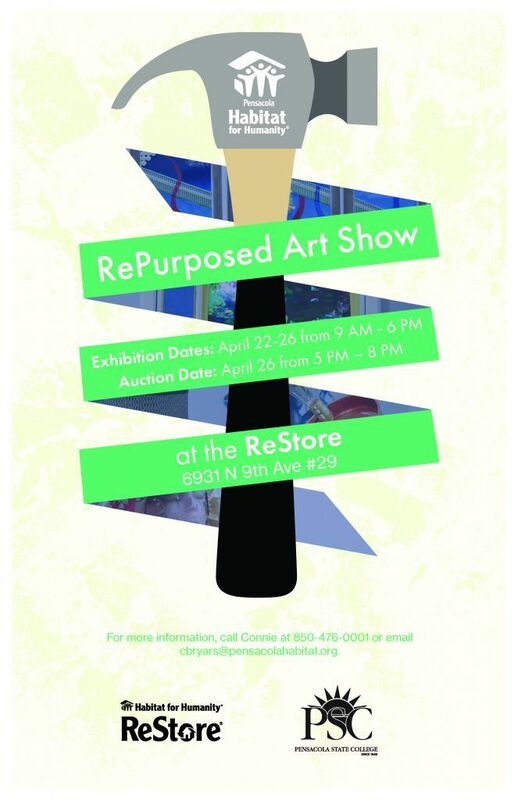 For more information on “Artistically Repurposed,” contact Rhea at 850-484-2559 at jrhea@pensacolastate.edu.